Eamonn was Marketing Director and Deputy Chairman of the Irish supermarket chain 'Superquinn' until the company was sold in 2005. Since the sale of Superquinn Eamonn invests through the Quinn Family investment portfolio which includes a number of private investments including ventures related to the global food retail sector, green energies, and private equity funds to name a few. 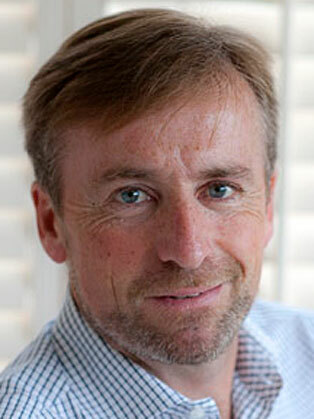 Eamonn is currently an Executive Chairman of Kelsius Limited, which designs and manufactures wireless temperature monitoring systems for the food and healthcare industries, Director of Nualight, a company selling LED lighting to the retail industry in Europe and the US and Director of Endeco, a smart grid technology company. As well as almost 25 years' experience in the food retail sector Eamonn has also held leading positions on the boards of international food retail industry bodies including the Paris based supermarket organisation CGF and the USA based Operating Executive Council of the Food Marketing Institute. He is also a former chairman of Identigen, a company which uses DNA technology to prove the provenance of animal products. A seasoned investor with a wide ranging portfolio, Eamonn is also involved in the financing and mentoring of start-ups, and sees Dragons' Den as an exciting opportunity.